Here at Fort Miller Fab3, we offer the latest technology to precision cut our metal, and you know we wouldn’t provide our customers with anything less than the best in performance and service. One question we often hear when people come to us with projects is, “Should I use laser cutting or plasma cutting for my custom metal fabrication?” As a metalworking company, we have the knowledge and know-how to be able to give you our professional recommendations based on your budget, your needs, and your final project. 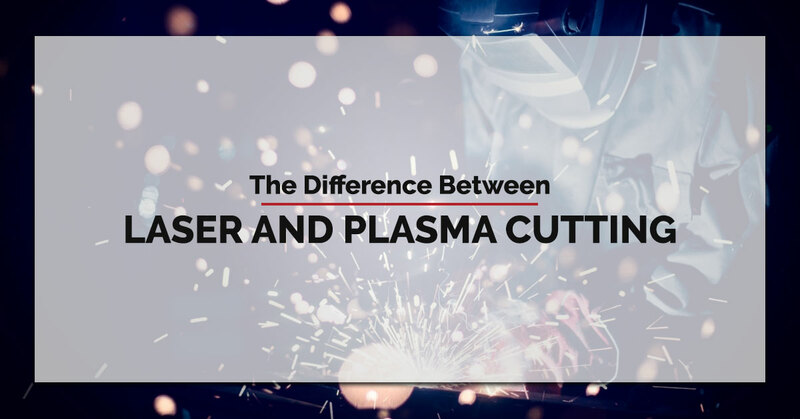 Today, we wanted to take a minute to talk about what the differences are between laser cutting metal and plasma cutting, and what projects we would use these technologies on. Most of us can picture what a laser looks like, but are unsure of what exactly it is. A laser cutter is essentially a concentrated beam of optic light (yes, a laser cutter is essentially a light saber). The high power beam rapidly heats, melts, and partially vaporizes the metal or other material that it comes into contact with. Plasma cutting was actually developed before laser cutting and began to be used in the 1950s. Prior to this, metal was flame cut, which is exactly what it sounds like. However, some metals could not be flame cut, like stainless steel, aluminum, or copper, and so plasma cutting was invented. The plasma cutting method involves a highly concentrated channel of electrically conductive gas that acts as a vessel to transmit energy from a power source to the material being cut by means of moving through a plasma torch. Like a laser cutter, a plasma cutter ultimately slices through metal by melting it. Plasma cutters can cut through thicker sheets of metal. In general, a plasma cutter can cut through metal up to 1.5 inches thick. Lasers, on the other hand, can cut through half-inch thick aluminum, three-quarters-inch thick stainless steel, and one-inch thick steel. Laser cutting has a tighter tolerance of just .002 inches, making it ideal for precise cuts or parts that have intricate notching. Both laser and plasma cutters at our shop use CNC, computer numeric control, to control the machines. This means that your project can be completed quickly and accurately. Whatever you need for your project, Fort Miller Fab3 is here to help. Our high tech machines have the ability to punch, drill, burn, cut, or shear metal for your custom metal fabrication project, and will work with you from start to finish. Whether you simply need a shape cut out of a sheet of metal, or you have a vision that requires precise engineering, the certified Fab3 team has the knowledge and know-how to get your project done with short lead times and exceptional quality work. When it comes down to it, no two projects are the same. Time and budget restraints can factor into whether or not we use our laser CNC machine services or our plasma cutting machine. Additionally, the thickness of your project, as well as the material and level of detail needed, will all play a role in how we get to the end product. That being said, one thing you can count on is that the final product will be just what you want! Contact the experienced team at Fort Miller Fab3 today and tell us about your next project!